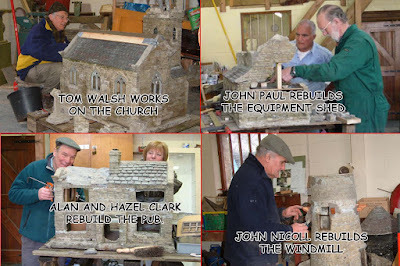 An Insight Into Ryedale Folk Museum...: MODEL VILLAGE John Nicoll. Workshop volunteer. Originally from the West Riding of Yorkshire , I moved to Kirkbymoorside 10 years ago having taken early retirement in 1996 from Lucas Aerospace where I worked as a Production Enginner. 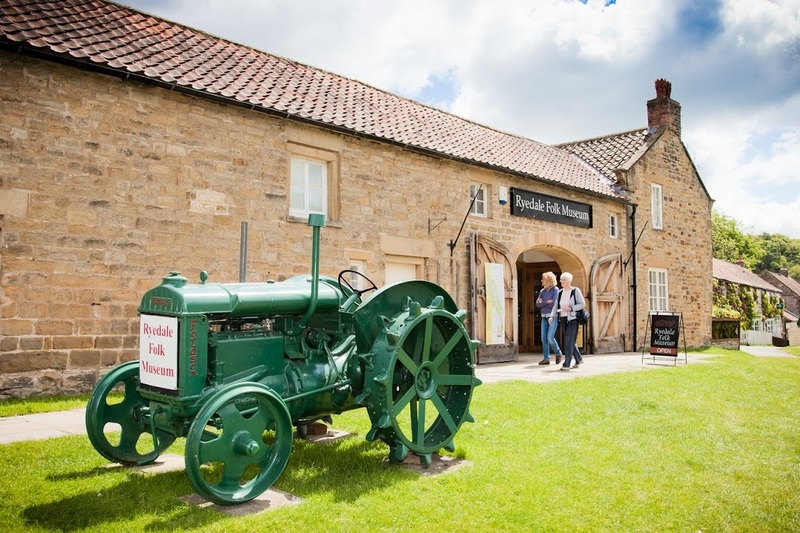 Now part of a small team in the workshop of Ryedale Folk Museum where we undertake a large variety of tasks including agricultural machinery repairs and overhaul and general maintenance of the site and it's exhibits. I think I have now the best job ever !! The following is our latest challenge. The village was started in the 1950's as a garden feature at the Beckwithshaw , Harrogate home of Mr John Hayton , an agricultural engineer and took 30 years for him to complete. Built to approximately 1/12th scale it consists of 30 buildings including a church complete with pews and font , castle , terraced housing with a corner shop , windmill , public house , boat house , forge , school , village hall , water mill with working wheel , police station , garage with tearoom , hunting dog kennels , manor house and a variety of detailed farm buildings . All the buildings were built to a very high standard from local sandstone cut to a thickness of between 10 mm and 15 mm and bonded using a standard sand / cement mixture. The roofs are all individually cut Welsh slate and Oak was his timber of choice throughout . An interesting variety of materials made up his window panes. SLIDE SHOW AND PICTURES OF VILLAGE IN MR HAYTON'S GARDEN. PRIOR TO 1990. Mr Hayton died in 1986 and the model village was kindly donated by his family to Harlow Carr Gardens in Harrogate where it was displayed for approximately 20 years. In 2008 the village no longer suited the plans at Harlow Carr Gardens and they approached Bekonscot Model Village in Beaconsfield. Buckinghamshire to see if they would be interested in taking ownership. 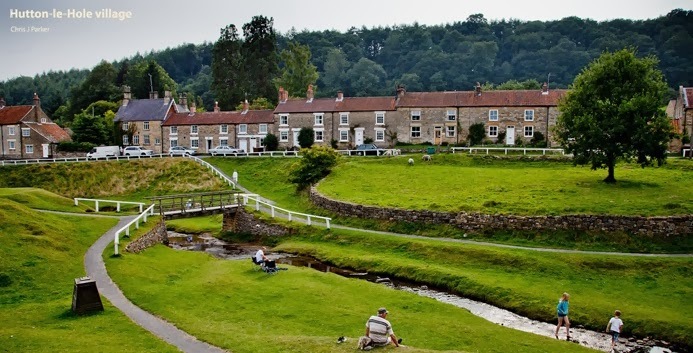 On behalf of Bekonscot, two architectural heritage specialsts Tim Dunn and Stephen Levrant considered the request but felt the village would not suit Bekonscot . They then tried to find a suitable recipient and fortunately Ryedale Folk Museum were approached and at once welcomed the idea. THE MODEL VILLAGE AT RYEDALE FOLK MUSEUM. In November 2008 the 30 buildings arrived on a low loader truck and were unloaded in the workshop yard. What a site , what a task !! All were in serious need of restoration and some arrived in a far worse condition than they had set off in , having not travelled very well . The first job was to give them all a thorough clean to remove all the moss and other plant life clinging to them. Volunteer Tom Walsh set about this task and after a couple of weeks we could assess their condition . 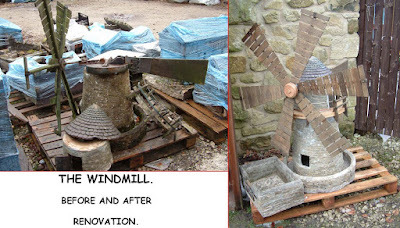 This varied from a couple which needed only minor repairs to basket cases requiring completely rebuilding. Fortunately a photo survey had been conducted prior to their removal from Harlow Carr. At least we had something to work on. Renovation and reconstruction began in December by a small team of volunteers namely Tom Walsh , Hazel and Alan Clark , John Paul and John Nicoll. We all thank Mr MF135 for his lifts and Kevin and Andrew for their careful and considerate driving of him !!. By the start of Springtime about 16 of the buildings were completed and we started to prepare the site and were able to site all the buildings including the ones yet to repair , these could then be worked on in situ. The final layout of the site reflects as near as possible the original layout in Mr Hayton's garden . This was made possible with the help of Mr Chris Hayton the Grandson of the builder who kindly lent me some 65 original photographs , we thank Chris for his co-operation. A picnic area and a raised viewing area are part of future plans which will turn an underused area of the museum into a great visitor attraction. So work continues to progress at a steady pace although we would all wish for things to go a little quicker ,but we will get there. SLIDE SHOW OF MODEL VILLAGE SITE AT RYEDALE FOLK MUSEUM. AFTER MAJOR REBUILDING THE MODEL VILLAGE WAS OFFICIALLY OPENED BY OUR MEMBER OF PARLIAMENT MISS ANNE MACINTOSH ON 19 - 11 -2010. What Does Everyone Think Of the Museum?